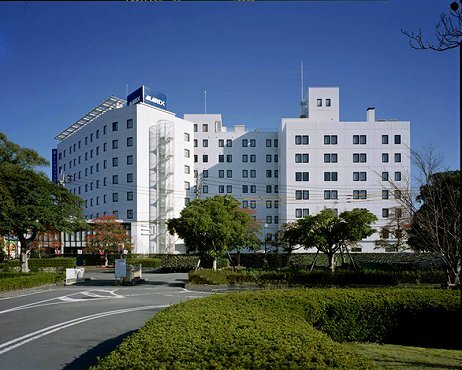 Miyazaki City is located in the central part of Miyazaki Prefecture and is the rail terminal city for southeastern Kyushu as well as the government and economic capital of the prefecture. Due to the mild weather, phoenix trees and palm trees can be seen everywhere, which gives the city the atmosphere of a bright southern resort. The place to see in the city is Miyazaki-jingu Shrine, built deep in the woods, with a Torii gate (shrine gate) made from simple, plain wood. It is a very unique shrine as it is built only with cedar. 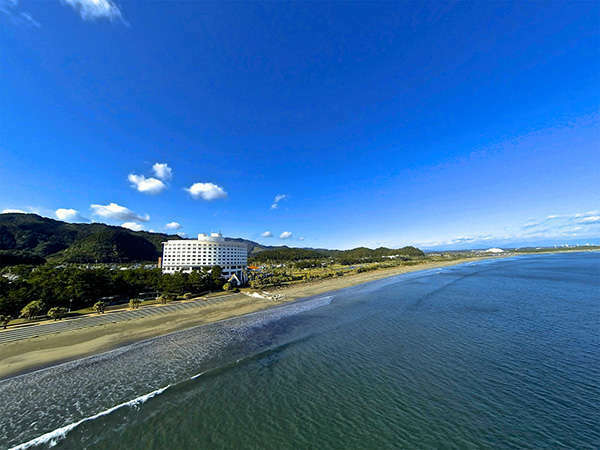 Northeast of the city, on Hitotsuba Beach, stands Sea Gaia, which has a golf course, tennis courts, the Miyazaki City Phoenix Zoo, and the World Convention Center Summit, which provides space for international conventions. Hotels, cottages, and condominiums are also part of the facility. There is a free shuttle bus between the facilities. 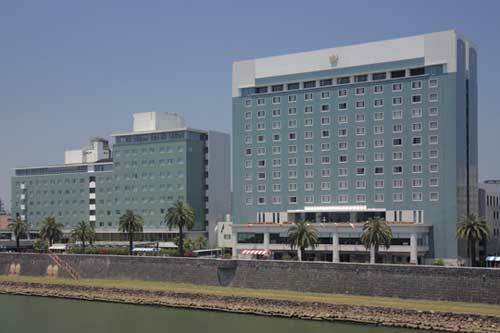 Miyazaki Kanko Hotel is located at the riverside of Oyodo River, where phoenix trees are rustling along the promenade and colorful parasols are adding the bright air. 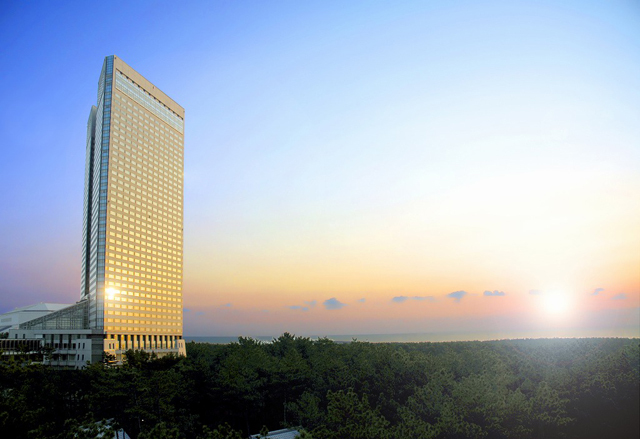 The hotel is a landmark of the area and a base for sightseeing. 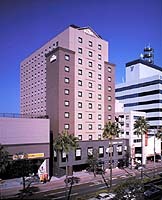 ANA Holiday Inn Resort Miyazaki is located adjacent to both Aoshima Beach and children's amusement park Kodomo no Kuni. All rooms are ocean view room and the main bath on the third floor offers a sweeping view of the Pacific Ocean and Aoshima. 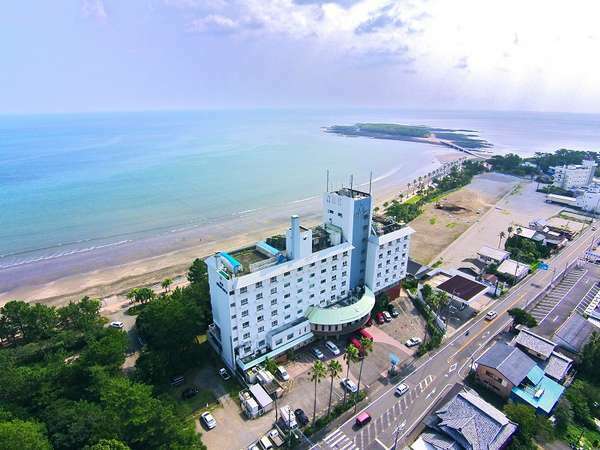 Aoshima Grand Hotel is located at the entrance of Nichinan Coastline National Park and in front of Aoshima Beach. The view of Hyuganada Sea and Aoshima Island will relax the mind and body while soaking in open-air hot spring bath on the rooftop.